We are one of the leading providers of Material Lifts and Contract Lifting includes man lifts in the Indian Subcontinent. The Machines used in these services are specially sourced from the reputed companies of the world. We have a team of experts, who ensures on every aspect, that the service delivers a better performance all through. In addition, we also ensure that our services are offered at reasonable rates. 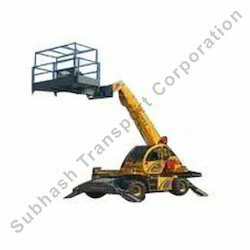 We offer a varied gamut of man lifts rental service. Specially procured from the best companies of the world, these lifts are highly recommended for better performance and smooth functionality. They are commonly used in refineries, electrical plants, thermal plants, cement plants and in air ports. And the height of these lifts ranges from 12 meters to 40 meters. 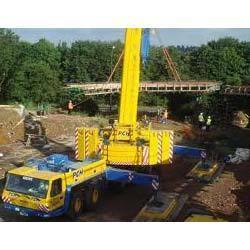 Looking for Contract Lifting Service ?